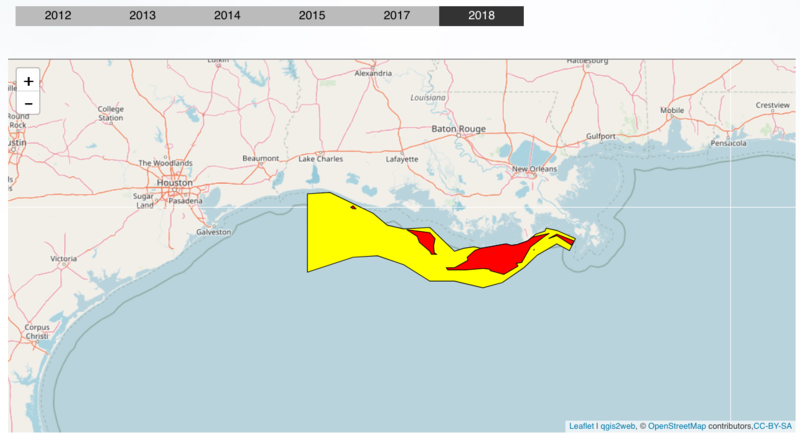 The dead zones in the Gulf of Mexico, outlined in red, were far smaller than last summer’s when measured at the end of July. 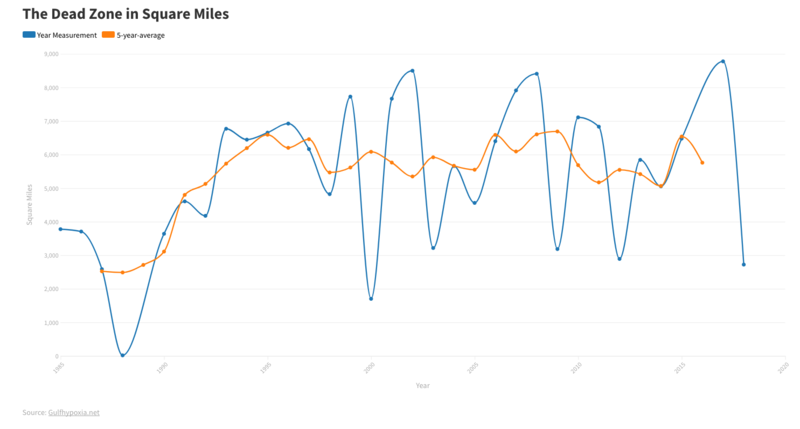 Dr. Scavia has been using data about nitrate levels in the Mississippi to predict the size of the gulf’s hypoxic zone for 11 years, and his prediction for this year (3,100 square miles) was more or less right on the mark. 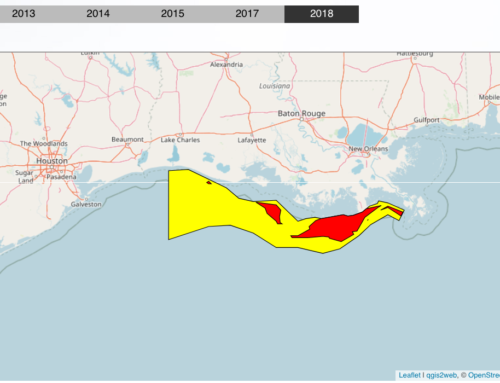 High levels of nitrates entering the gulf, mainly via the Mississippi and Atchafalaya Rivers, begin a series of biological processes that eventually lead to the creation of the Gulf of Mexico’s hypoxic zone. 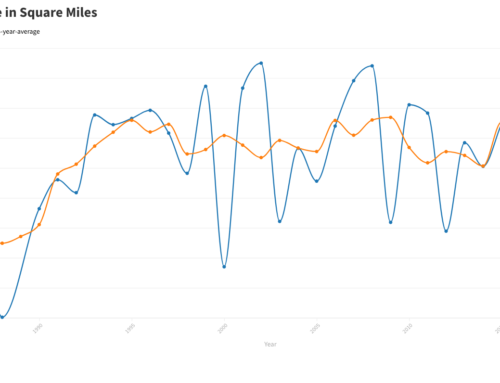 The nitrates find their way into the rivers after leaching off farmland, where farmers apply lots of nitrogen-rich fertilizer. 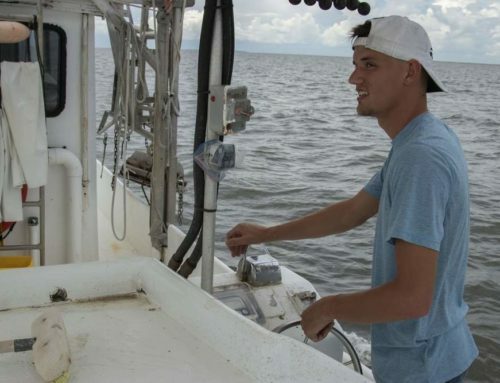 When the nitrates collect in the gulf, they act as a nutrient surplus, allowing the algae living in the seawater to bloom prolifically in warm spring weather. Soon massive amounts of the short-lived algae die and sink to the bottom of the gulf, where their decomposition uses up all the oxygen in the water. Since nearly everything in the ocean needs oxygen to survive, creatures living in these oxygen-free areas must either move or die. The zone is reset, in a way, each winter, when seawater at the surface of the gulf gets cold and sinks, bringing oxygen-rich water back to the hypoxic bottom. But the following summer, the zone reforms. 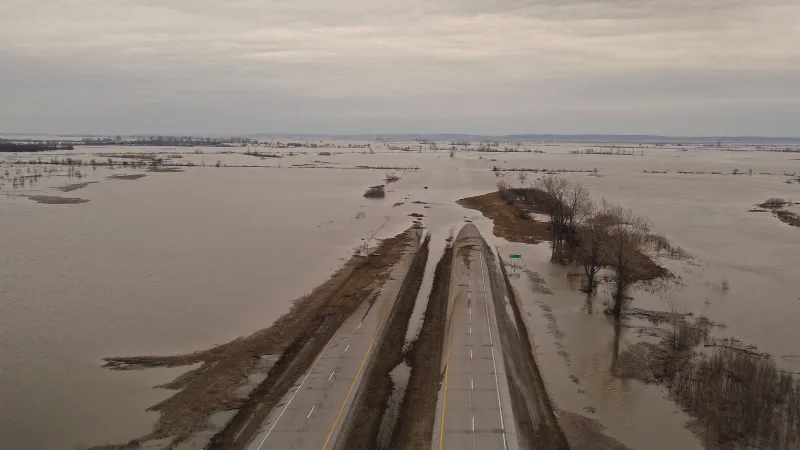 Its size varies from year to year, depending on how much nitrate-rich water is being funneled toward the sea from the Mississippi watershed, Dr. Scavia said. 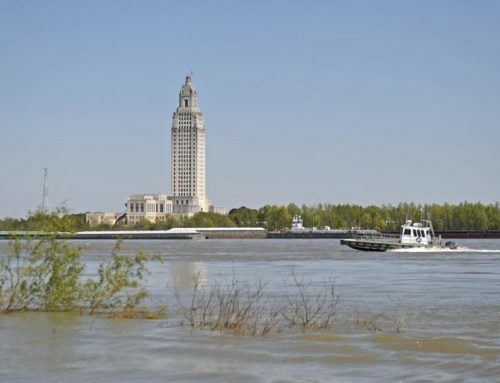 For example, because of last year’s Mississippi flooding, last summer’s hypoxic zone was one of the larger sizes recorded – more than two times this summer’s. 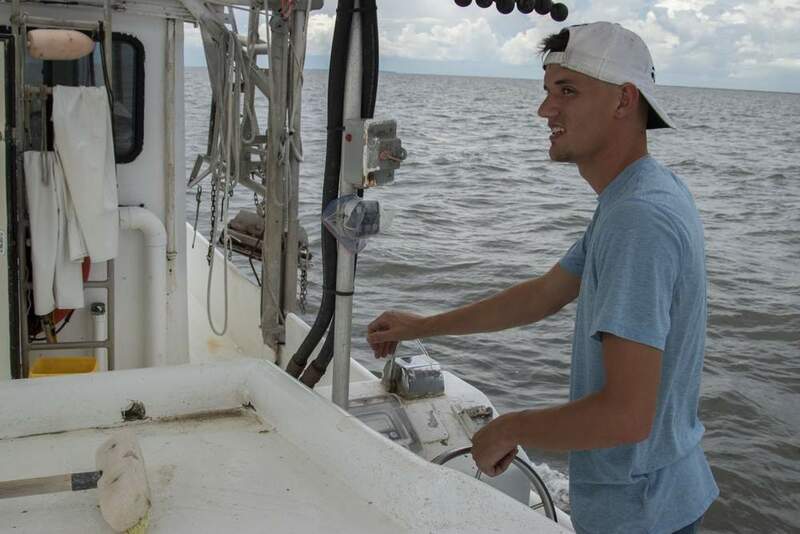 Dr. Scavia said the small size of this year’s hypoxic zone was especially interesting because a reduction in the amount of nitrates entering the gulf has an immediate effect. “If we could find some way to stop all that nitrate from going down the river, the problem would be solved in a year or two,” he said. 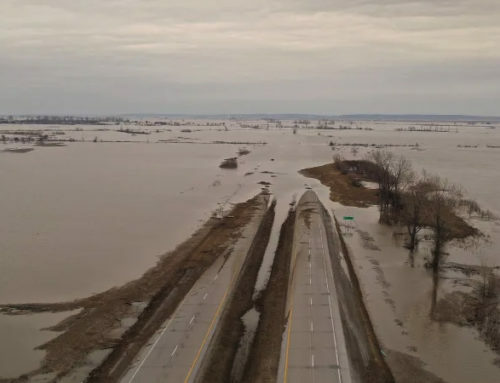 As people cannot control the amount of rain soaking the Midwest each year (and farmers and others are desperate for more of it), the best suggestions researchers and policymakers have for reducing the nitrate levels in the gulf are built around reducing the amount of nitrates entering gulf-bound rivers at the source. Building wetlands around the rivers would encourage the natural denitrification that occurs in such ecosystems, and buffering rivers with grasses to absorb the nitrates would help a lot as well, Dr. Scavia said.